Though he only produced two films himself, movies would have been much different without the influence of legendary Broadway producer Florenz Ziegfeld, Jr.. The high class, but unpretentious style, songs and stars of his shows would all have an immeasurable effect on Hollywood, adding to the glimmer, excitement and timeless feel of many classic productions. Twin authors Cynthia Brideson and Sara Brideson draw out many rich details from the life of this unparalleled showman in their substantial biography of the producer. 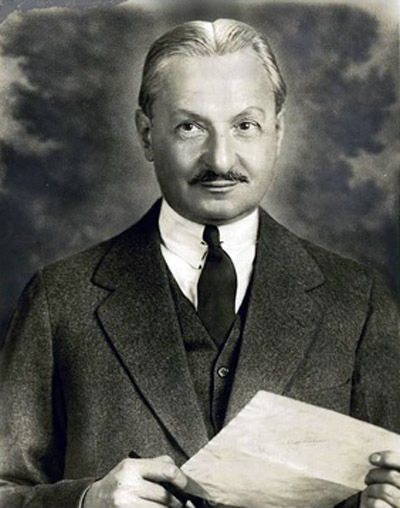 Florenz Ziegfeld was a reserved, shy man who would only fully reveal his charm and sense of humor to those closest to him, like his second wife Billie Burke, daughter Patricia and his stars and best friends Will Rogers and Eddie Cantor. He saved most of the show for the stage. Perhaps for this reason, the Bridesons wisely focus much of their attentions on the colorful people in the producer's life. 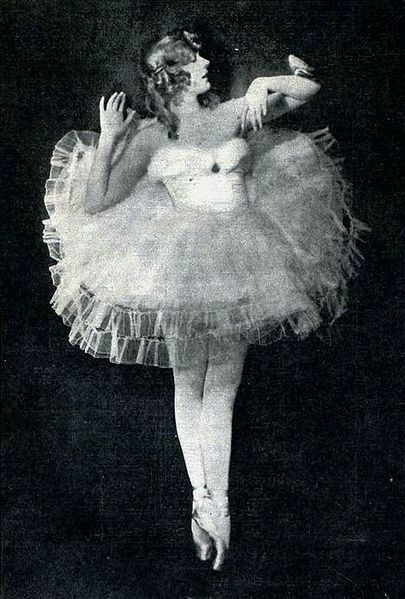 Ziegfeld stars like Anna Held, Marilyn Miller, and to a lesser extent Lillian Lorraine set the template for glamour and stardom on the American stage. Comedians Fanny Brice, Will Rogers, Eddie Cantor and W.C. Fields made their names in the great producer's follies and would go on to achieve immortality in the movies. The book is as much their biography as it is his, and it makes sense. 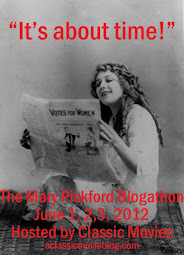 Their stories are so tightly intertwined that they must be told in tandem. These characters give the book its endless sparkle. It is never dull. I was surprised to find that Ziegfeld was such a devoted family man. While he had his share of affairs and obsessions with show girls, once the producer became a father, he settled admirably into family life. While he was often absorbed by work, and his excessive gambling troubled Burke, his wife and daughter were the most important women in his life. He made up for his absences, at least enough to build an enduring partnership with Burke, who was equally devoted to family, and raise a surprisingly well-adjusted daughter given the luxury and chaos of her early life. While I was fascinated by all of Ziegfeld's story, I was particularly interested to learn about the producer's experiences with Hollywood. While he never believed that movies could replace the spectacle of the stage, Florenz was open to using them as a promotional tool. However, making his own films was not to be a satisfactory experience. His first production, Glorifying the American Girl (1929) was only a modest success, and while he was much more satisfied with the transfer of his popular Whoopee! (1930) to the screen, he found himself in a constant power struggle with co-producer Samuel Goldwyn. More significant, though less profitable for Ziegfeld, was the producer's influence on film. He sold the rights to several of his stage productions, which were then made into popular films like Sally, Rio Rita and Show Boat (all 1929, the latter was filmed again in 1936 and 1951). He also debuted many songs in his Follies that would become standards via films, from Me and My Gal and Look for the Silver Lining to My Man and Blue Skies. Songwriting legends like Irving Berlin, Jerome Kern and George Gershwin who found fame with the producer would make their mark in films as well. The style of his productions would also influence movies, from his stately, elaborately-costumed showgirls to the opulent look of his sets. All of these elements are explored in great detail, and strung together nicely, but the text relies heavily on quotes from other Ziegfeld biographies. Though I haven't read any other bios about the producer, the frequent excerpts made me wonder how much new insight there was in Ziegfeld and His Follies. It isn't until the latter half of the book, when the aging Florenz begins to settle down and embrace family life that the Bridesons begin to rely more on their own analysis of their subject. 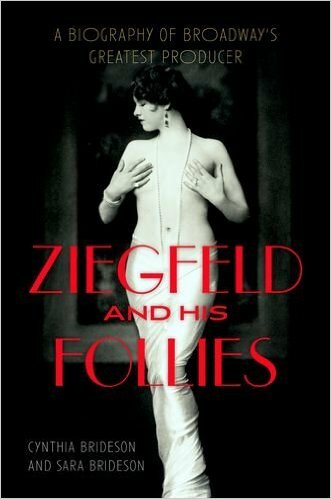 The authors are most adept at creating a sense of the times in which Ziegfeld lived and exploring how he adapted at the different stages in his career. Their descriptions of the many shows he produced, accompanied by several photographs of his shows and stars, are also excellent and highly evocative, giving a strong sense of what it must have felt like to be in the audience. Though Ziegfeld often did not have faith in the success of his productions, the showman had an undeniable knack for picking talent and could lend his shows an aura of class that eluded his competitors. While he spent most of his career struggling to stay ahead of debts, he had the common touch and knew how to please an audience. Ziegfeld and His Follies uncovers a bit of this magic and vividly describes the sweat required to bring the fruits of his intuition to the stage.